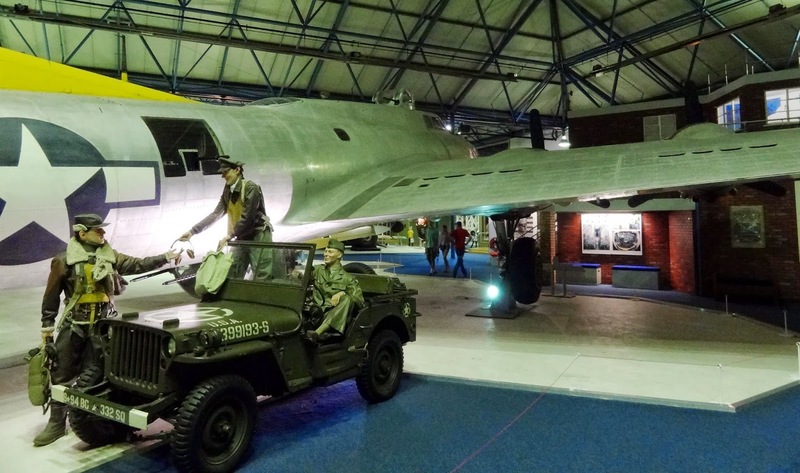 Location: RAF Museum, Hendon, London, UK, 2013; Dreams of flight museum, Orlando, USA, 2013; and USAF Museum, Dayton, Ohio, USA, 2014. 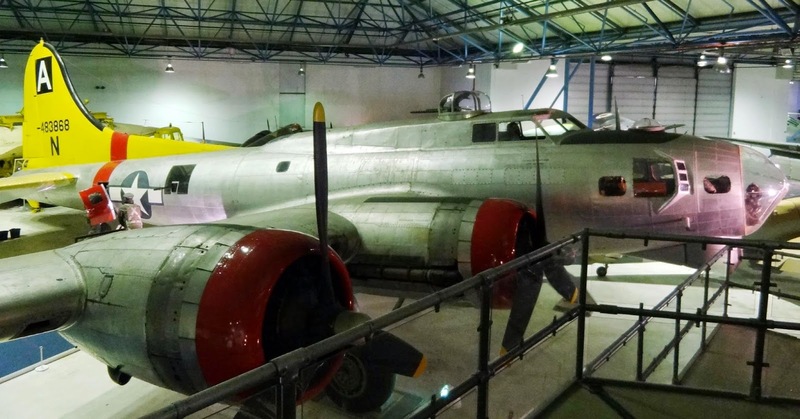 Comments: The B17 was nicknamed the "Flying Fortress" because it was heavily armed and could survive, and inflict, heavy damage. 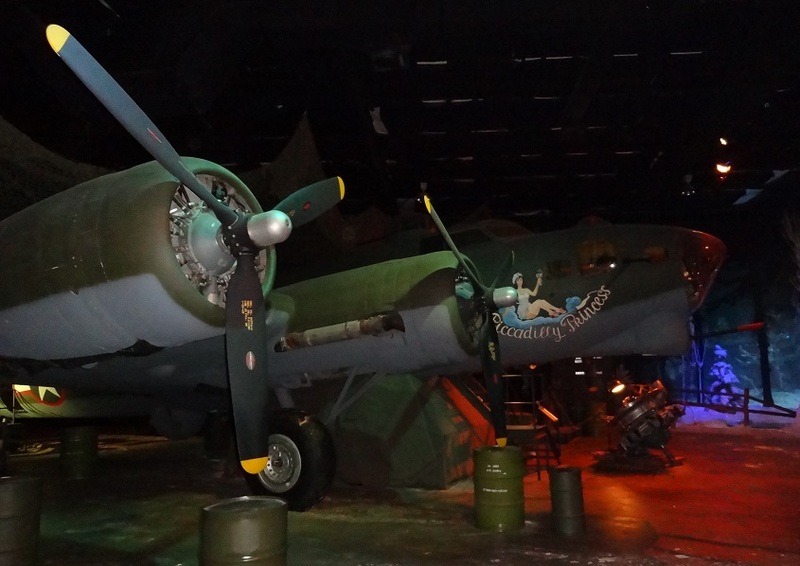 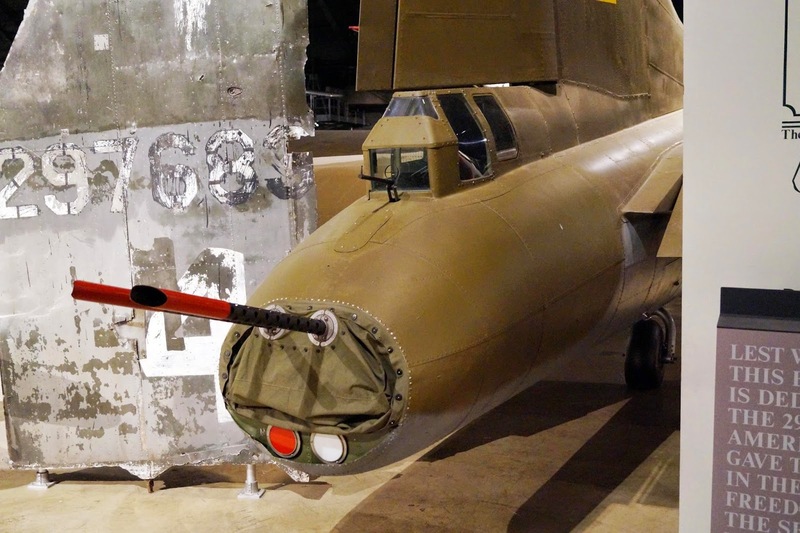 This aircraft was the primary bomber of the U.S. Eighth Air Force in the last years of World War Two. 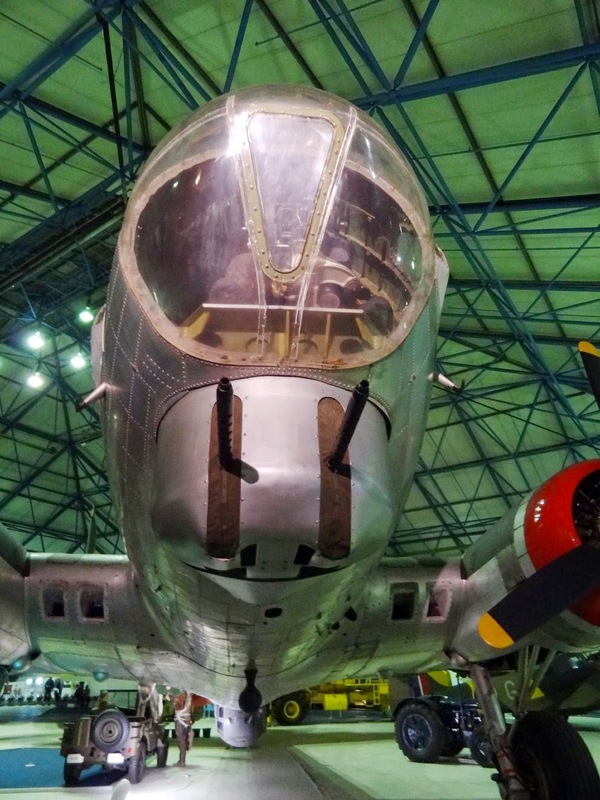 Formations of over 850 US bombers flew over Europe in the daytime, while RAF Bomber Command carried on the night offensive. 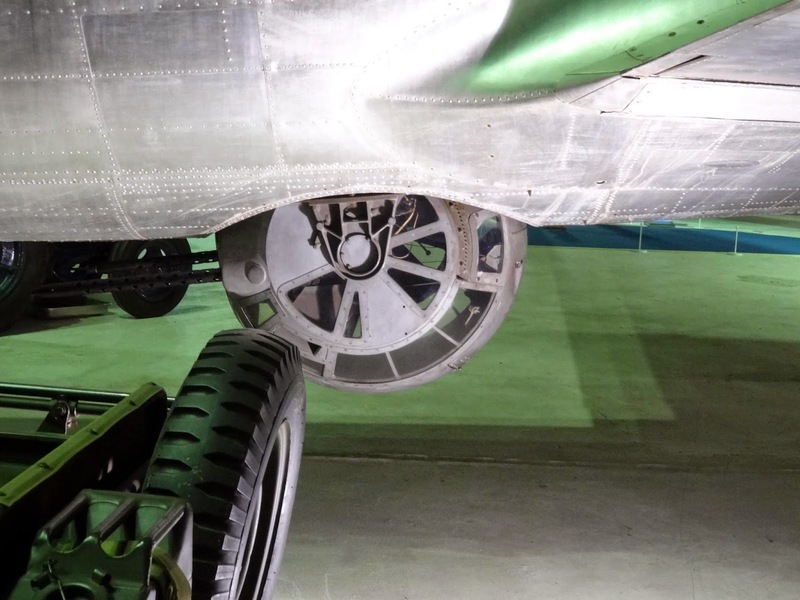 The B17, together with the B24 Liberator, bore the brunt of American daylight strategic bombing in the European theatre during World War Two. 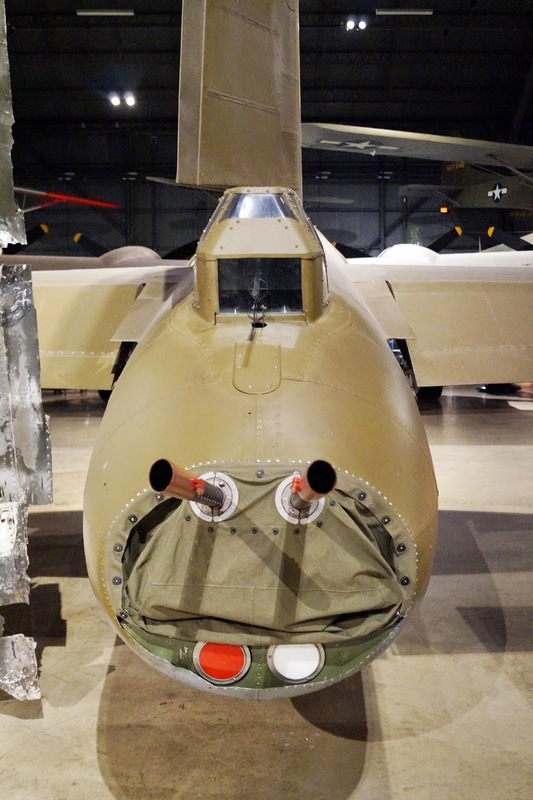 In 1934 the United States Army Air Corps outlined its requirements for an off-shore anti-shipping bomber. 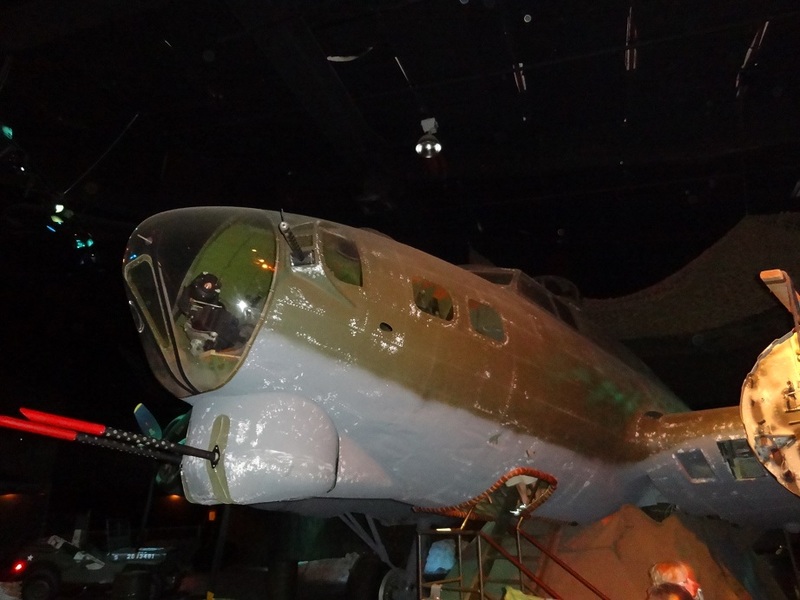 A year later the prototype took to the air. 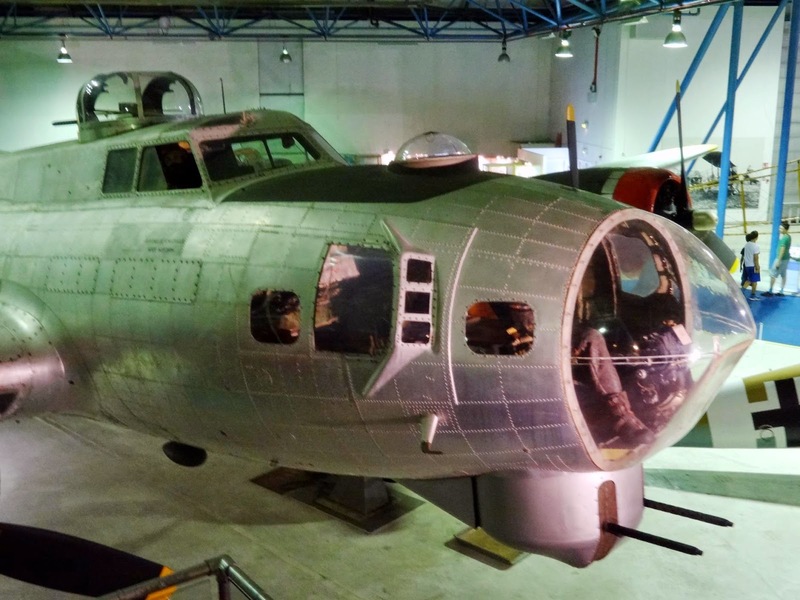 In 1940, twenty early production B17s were released to the RAF. 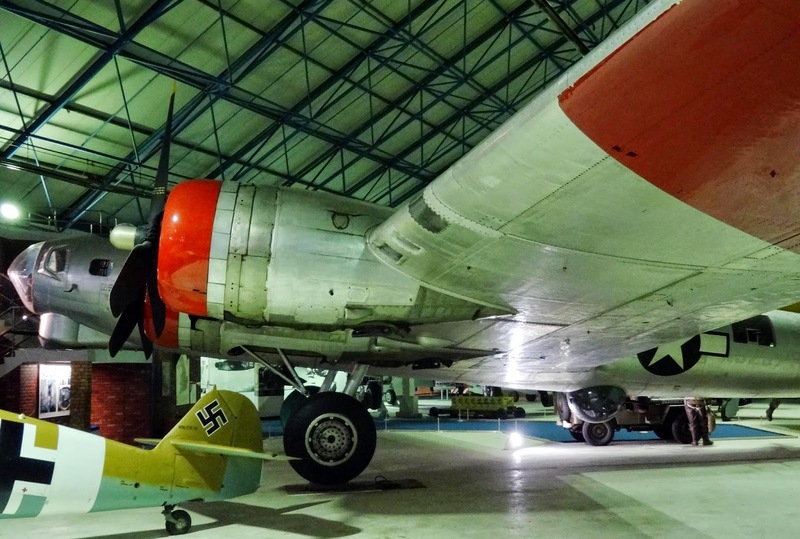 This enabled them to be evaluated under operational conditions, but this early introduction into service was not a success. 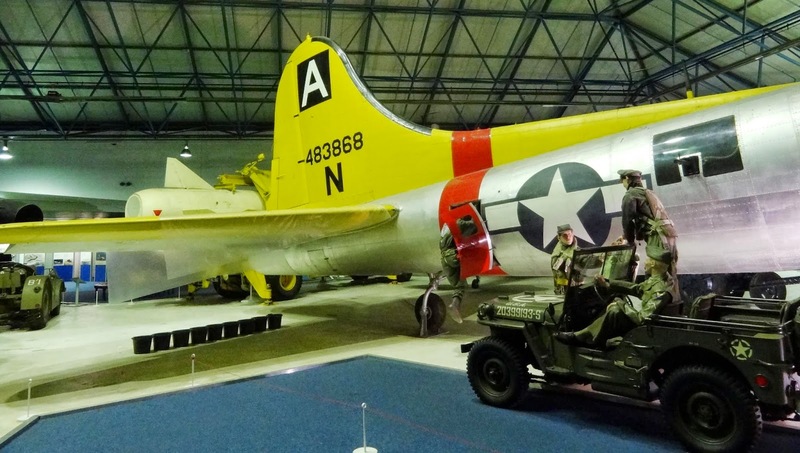 Following an extensive redesign, to increase armour and armament, new versions were introduced and were widely used by the Americans, both in Europe and the Pacific. 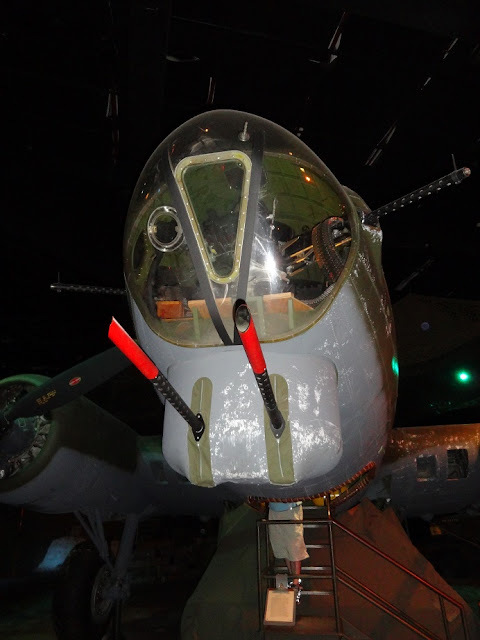 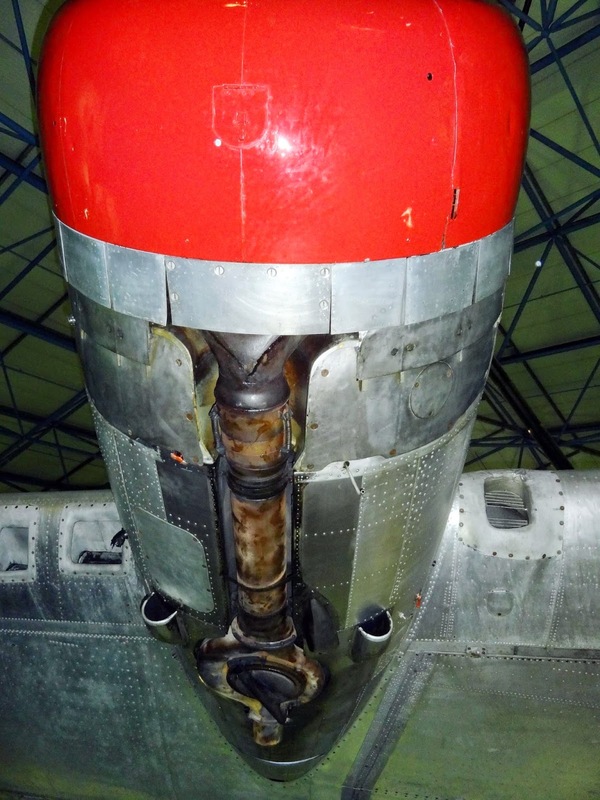 A further modification program, this time to improve the bomber's ability to repel air attacks from the front, produced the B17G with its twin-gun 'chin' turret. 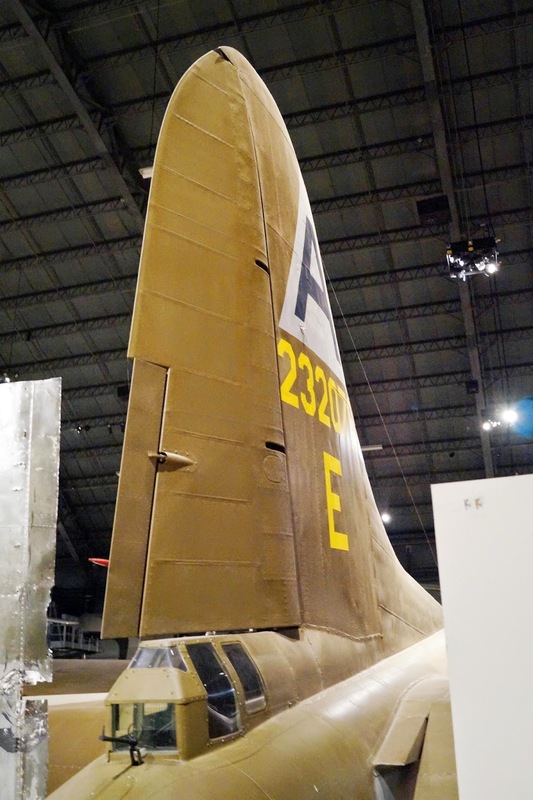 At the height of production, Boeing's Seattle plant alone produced a completed aircraft every ninety minutes. 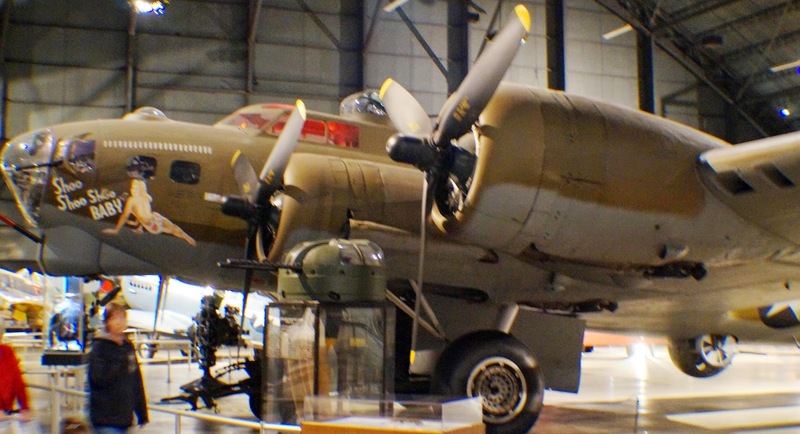 A total of 12731 Fortresses were manufactured of which just over two-hundred were supplied to the RAF.The USAF Museum B-17G was assigned to the 91st Bomb Group -- "The Ragged Irregulars" -- and based at Bassingbourn, England. There its crew named it Shoo Shoo Shoo Baby, after a popular song. 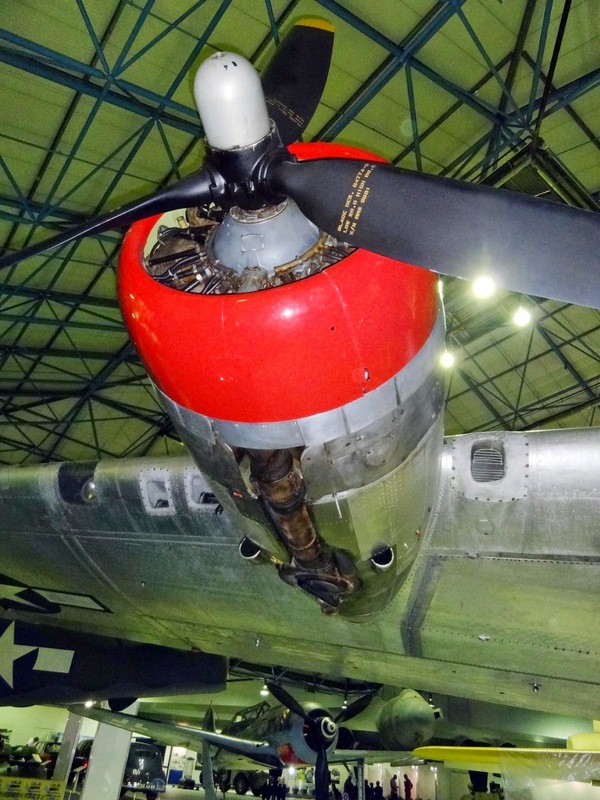 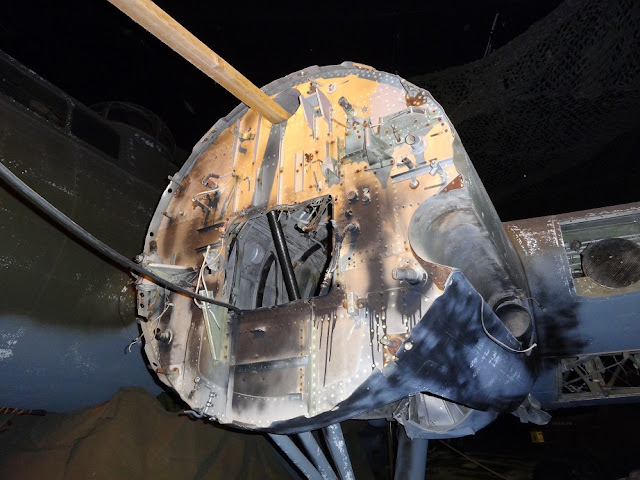 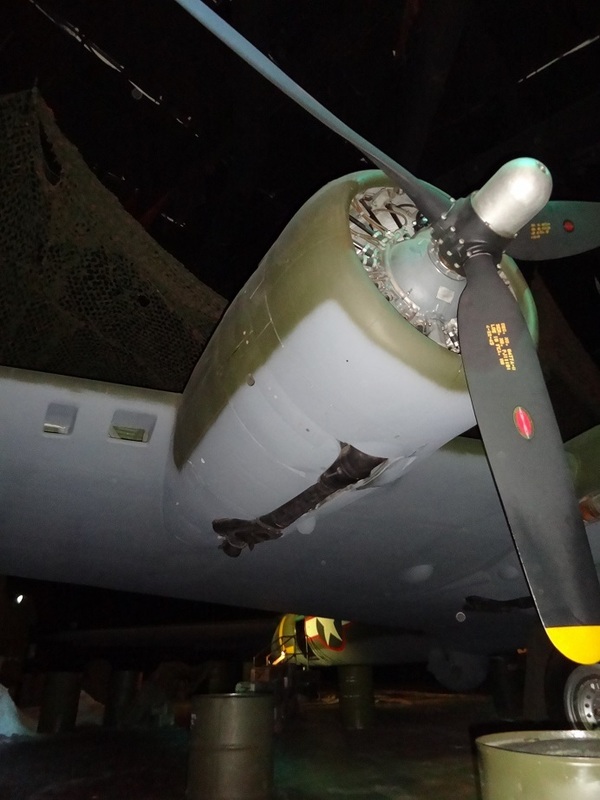 It flew 24 combat missions in WWII, receiving flak damage seven times. 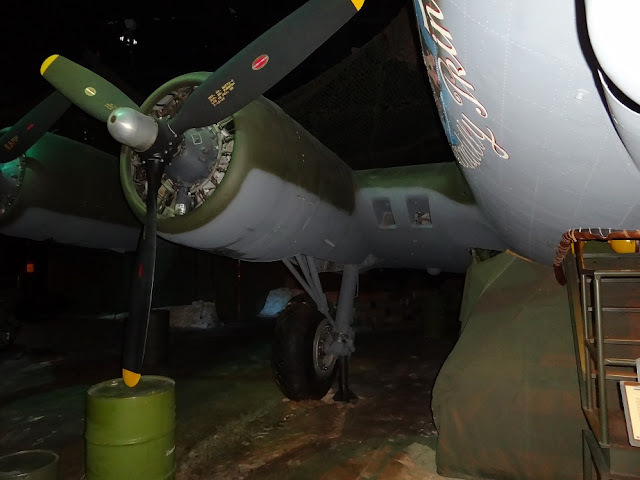 Its first mission (Frankfurt, Germany) was on March 24, 1944, and last mission (Posen, Poland) on May 29, 1944, when engine problems forced a landing in neutral Sweden where the airplane and crew were interned. 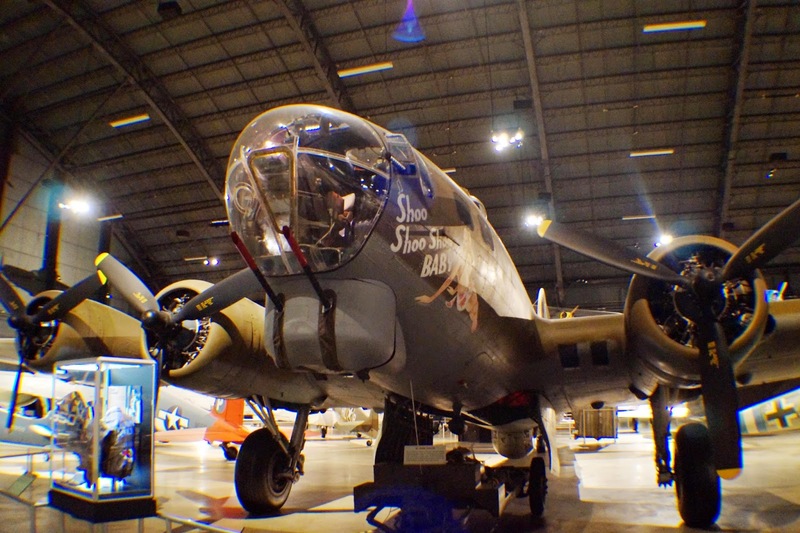 In 1968 Shoo Shoo Shoo Baby was found abandoned in France, and the French government presented the airplane to the U.S. Air Force. 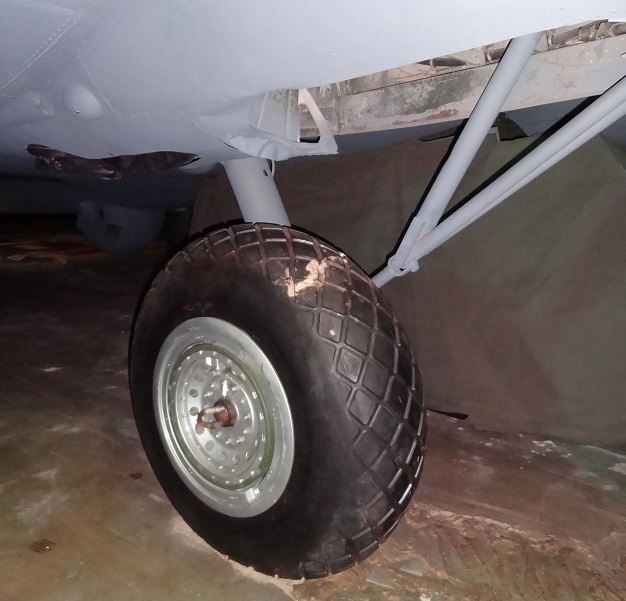 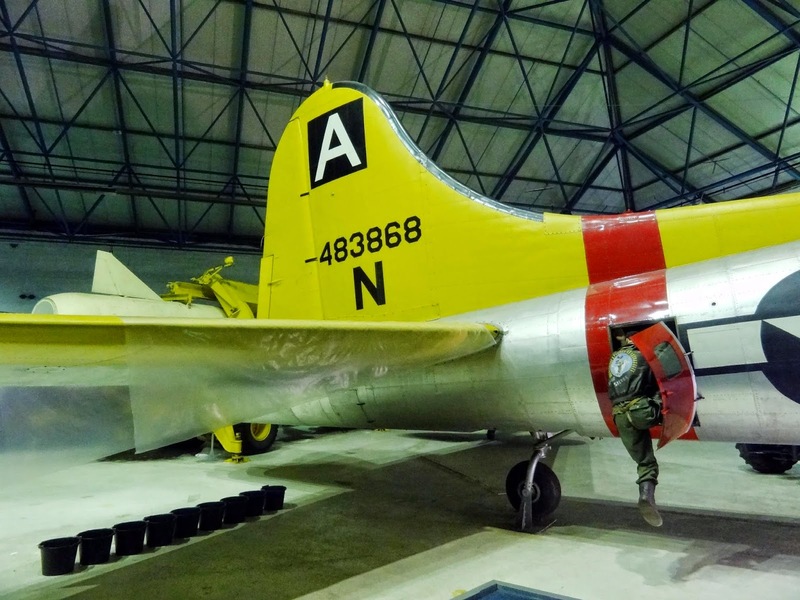 In July 1978 the 512th Military Airlift Wing moved it to Dover Air Force Base, Del., for restoration by the volunteers of the 512th Antique Restoration Group. 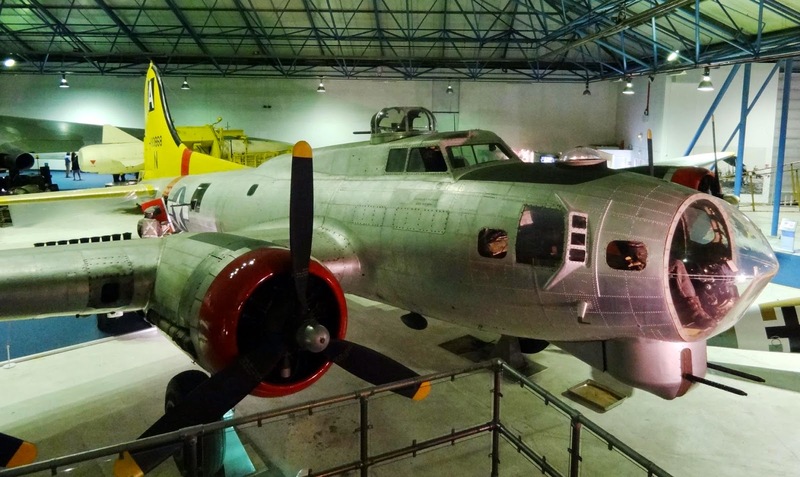 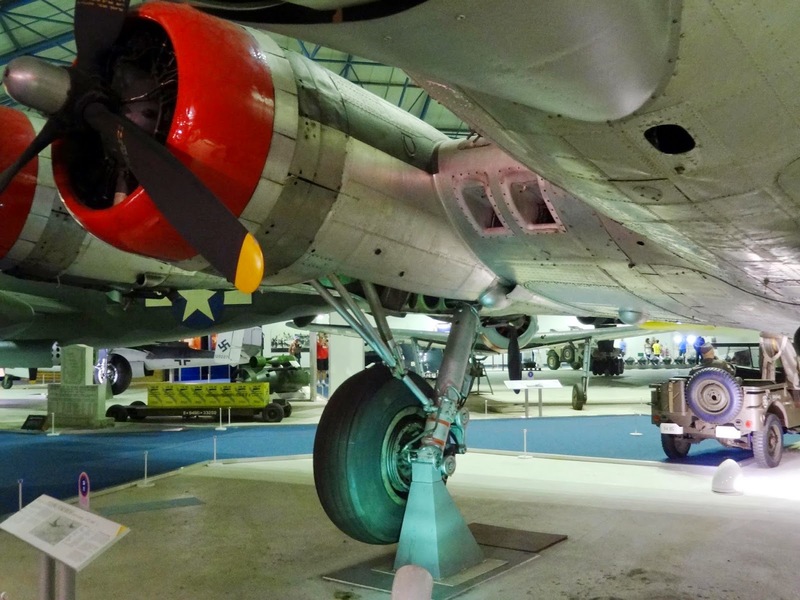 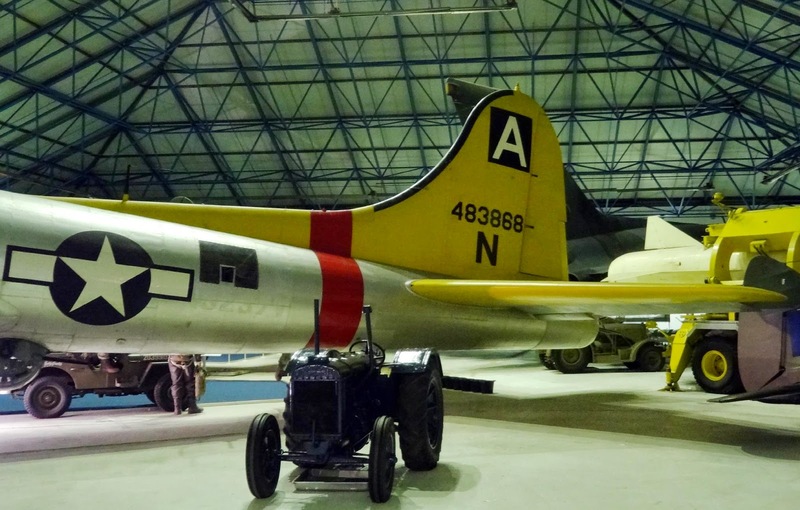 After a massive 10-year job of restoration to flying condition, the aircraft was flown to the museum in October 1988.The RAF Museum B17G finished its flying career as a fire-fighting water bomber in California and flew across the Atlantic to the Museum in 1983. 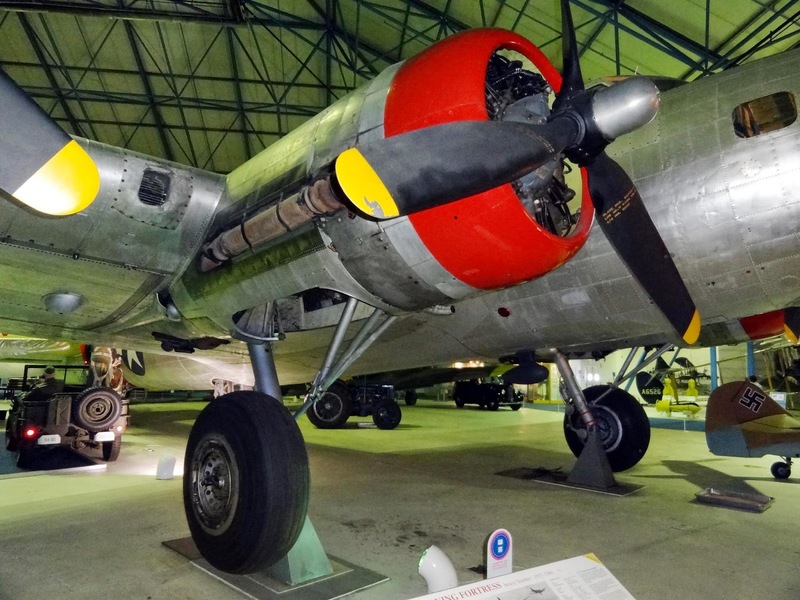 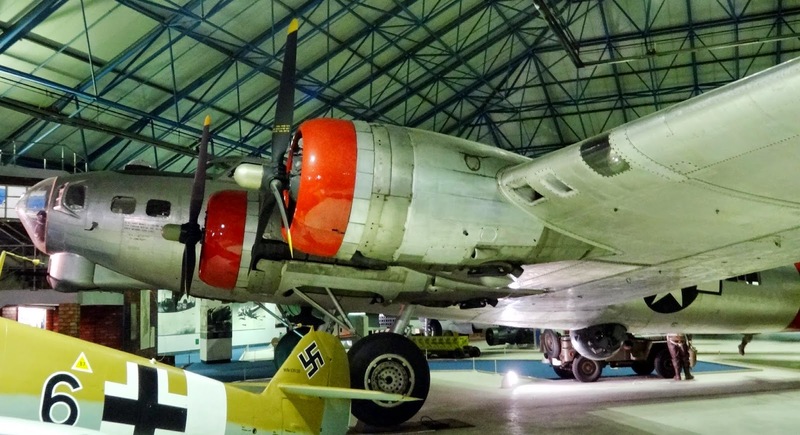 (ref RAF Museum and USAF Museum websites).